It was so fun to get together with Naomi and Eleanor last Friday for a picnic lunch in the park. Little Eleanor was so sweet with Everett and kept taking his hands, trying to figure out why he wouldn't stand up and come explore with her around the park! I tell you what ... watching little babes interact with each other, especially when one of them is your own, just makes your heart go boom. We loved it. Those two ladies make for pretty darn good company on a picnic blanket. What a couple of sweethearts! Oh my! That is just so sweet! E is getting so big and smiley! What a doll. ditto to what olga ^ said! 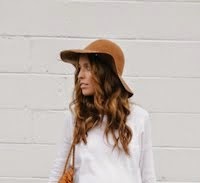 :) those are definitely DC's cutest babies and stylish mamas! what cute mommas & kids!! those two are just dolls! i, too, love watching babes interact and talk with their own language. so precious! adorable. i'm getting baby fever just looking at the pics! Elanor is so . I had no idea you actually hang out with Naomi how fun! look at that smile in the swing! what a cutie! Eeee!! My two favorite bloggers!! And adorable babies!!! Sooo dang cute :). Love all the pictures! SO Cute ! Love both of y'all ! And Eleanor is going to be a great big sis ! love that you two are real life friends! Soooo Cute! :) What type of camera do you own? The two my gorgeous babes, E + E!! His face is priceless in that swing picture! Love the pictures! Little babes are so wonderful! So full of life, energy, and joy! wow my two favourite American bloggers and their lovely babies together!! adorable! have a nice weekend! Oh my word, I can't even handle all of the cuteness going on right now! Little Eleanor is adorable, look at her stylish outfit! And Everett is just always so precious. Power couple! They are so stinkin' cute together. So much fun! Love both of you guys + your little babies!! 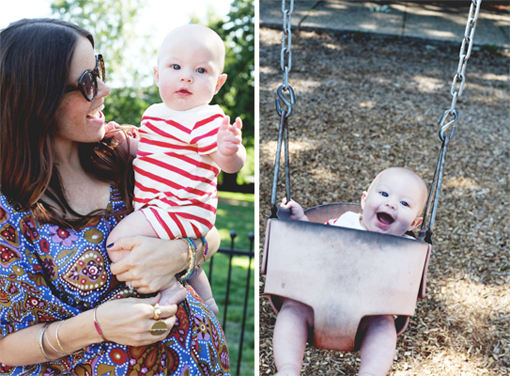 So fun to see two of my fav bloggers (and two cute babies) in one post. Those pictures are adorable. I love seeing little ones interact too. It amazes me all the time how the understand each other without any words. You two are my favourite bloggers EVER !! Inspiring ladies and beautiful babies! Can't wait to see more, when Everett will be able to run after Eleanor or the other way around! Those pictures couldn't be any cuter! I loved seeing all of you together :) 2 of my favorite bloggers! So cute!!! what fun this must have been!! Awe I'm so jealous. You both are my FAVORITE. What a LOVELY afternoon. Their adorable! I like how their outfits are coordinated. Hehe. May I ask where Eleanor's outfit is from? It's too cute! What a great day! These pictures are fabulous! So sweet! Digging those cutie patootie outfits too! For a moment when I saw that first picture, I was like... "Did I go to Rockstar Diaries instead of Daybook? I don't remember typing that in-- ohhhh. Awwwwww." The cuteness factor here is overwhelming, Sydney! I don't know if I can handle it all! D'awwww. These pictures are great! The babies look so precious together. My blog dreams just came true. I was wondering when you too were going to get together! Eleanor and Everett are so cute together! Too much cuteness in these photos to handle. Lovin' it. Oh I have been waiting for this post since I saw a picture on instagram! So adorable! And two of my favorite bloggers together!... Had to be an amazing time! You have such beautiful children. Great pictures. E. and E. are so cute together. Yeah you're right it is soo cute to watch babys how they do together and play and be silly. just awesome! Those pictures are too sweet. I just love seeing pregnant women holding babies. It's the cutest thing! It's like a glimpse of what's to come! :) All these pics are adorable! ahh, two of my favorite bloggers! i love this! Two of my favorite bloggers. I am so jealous! I love how stoked everyone is that you two hang out! It is pretty awesome because now I don't have to switch pages to see great style and babies I want to sqqquuuueze. So sweet! Love how their outfits coordinate! this is like seeing your two favorite teachers in high school hanging out together outside of school. do the two of you have superpowers when you're together? this is all too much cuteness for me. love it all. Aw so fun, I love the both of you, I mean four! So sweet! That one of Everett in the swing kills me. So cute! I love both of your blogs!! Two of the cutest kids on the block! How absolutely darling and perfect! Two of my favorites brought together! Two of my favorite bloggers? Two of the most adorable babies? Best post ever! :) Have a great weekend! These babies are making my ovaries freak out! So dang cute! 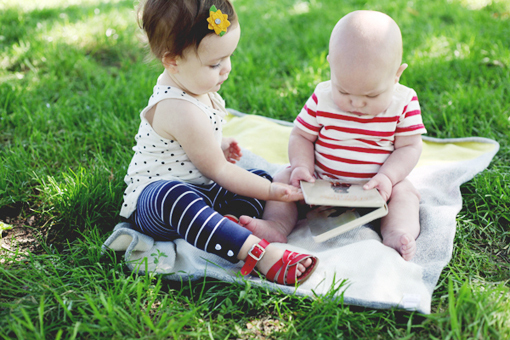 i can't lie, 2 of my fave babies and bloggers together on 1 picnic blanket, heaven! glad you had a good time! You have the most precious baby boy. Everett is such a darling. And yes, there is a certain kind of depth and whimsy when babies communicate. Keep writing. For a second I thought I was on Naomi's blog! I always wondered if you two ever met up. Lovely seeing all four of you together! How fun! Watching your kids play with other kids is such a joy isn't it? my two favorite bloggers in one blog post! i can barely handle it. It makes the world feel right that my two faves also are friends. Also, baby everett is adorable as ever. Two of my favorite bloggers, together! Yay! Oh both of them are so cute!!!!! Merci pour ces très belles photos, elles sont vraiment magnifiques.